Sophia finished her championship handled exclusively by the Menzels. 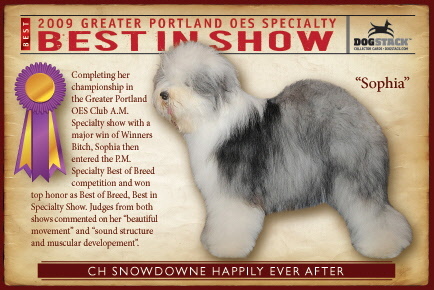 She is SnowDowne’s first female Grand Champion. Junior Handling and did very well. 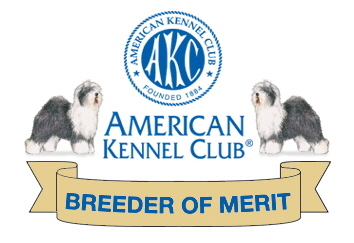 Sophia finished by going Best In Specialty at the 2009 Greater Portland Old English Sheepdog Club’s Summer Specialty. 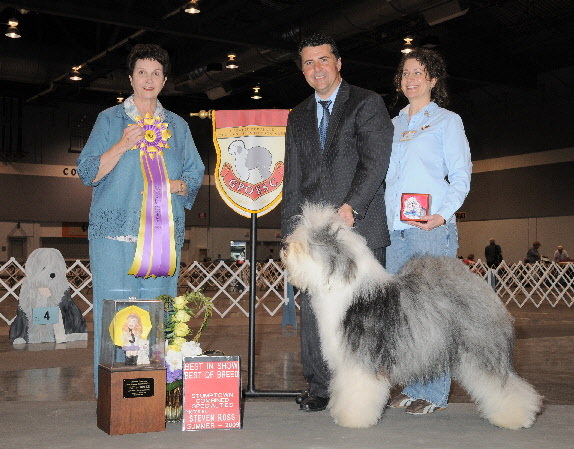 Judges consistently commented on her beautiful fluid movement and lovely coat. Colleen and Dea are so proud of Jeff, Priscilla and Hannah. Thank you for giving our girl such a great home! Sophia with her good friend Nelson, SnowDowne Ice Breaker, owned by Jerry and Belinda Holcomb.